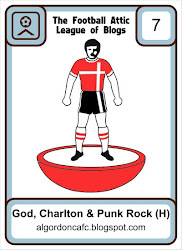 God, Charlton and Punk Rock: The town is now painted Charlton red. 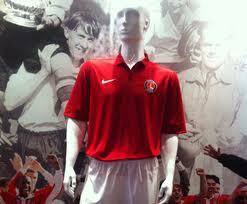 The town is now painted Charlton red. Champiooonee, champiooonee, ole ole ole. This song reared it's head plenty of times in The Shipwrights Arms at Tooley Street London Bridge during a football match on the big screen. 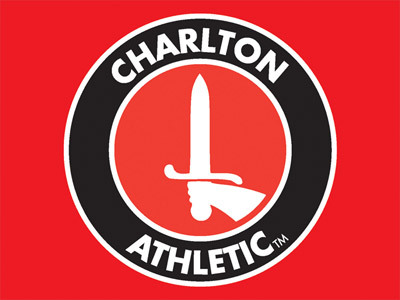 It was of course nothing to do with the match the packed pub was watching, i think that was a cup game of some description, but instead a small group of about eight or ten blokes who had witnessed Charlton Athletic lift the npower League One trophy earlier in the afternoon. We would of course give it our best efforts to drink the pub dry as the evening wore on, including more vocal delights in the form of Chas 'n' Dave's ain't no pleasing you, well these days don't come around that often do they? There had been plenty of discussion as to what was planned for the day, opera singers were always going to feature, but it was the red devils that really got us going, parachuting in to deliver the match ball. Clouds of red smoke filled The Valley as one by one they landed on the pitch. The closer to the target they got, the bigger the cheer they received. On any other day i think Colin Powell would have had kittens with what they did to the pitch, but this once i think even he would have kept calm and joined in the applause. Our seats had coloured pieces of paper to hold aloft when prompted. Over twenty five thousand childish football fans were always going to take advantage of the chance to show off their paper plane techniques. The sides of the pitch was littered with them. One clever little so and so had obviously done origami at university, for he or she made what amounted to a little paper bird that flew out of the north stand, around the post and over the line to finish in the goal. These things happen when you're champions. The red devils that landed on the pitch were wearing (not that you could see from the upper north) next seasons home shirt. It had been widely known for some time that the association with Macron had come to an end, and that Nike now had our business. Not only a new shirt but a possible re branding of the superstore, and at a later date another outlet could be on the cards, this is the kind of deal the so called 'big clubs' get. 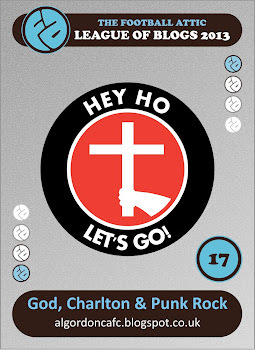 Another sign of these new times for Charlton. After the final whistle the shirt was put on display in the shop window, albeit with no shirt sponsor as it is assumed a new company will have their logo emblazoned across our chests in the Championship. Curbs gave a half time speech, Chris Powell also gave one at the end, real Charlton moments, and we had all the razzmatazz the FA and npower expect and probably demand, but almost lost in amongst all this was a football match. Game number forty six against Hartlepool United, just as it was last season. The monkey hangers really had nothing to play for other than pride while we still had the chance to reach the magic one hundred points. There is a good little article in the champions souvenir match day programme showing membership to this elite club. Only eight sides before us have achieved this. Of course there would be more if, in the days of our childhood, you didn't only get two points for a win, but nonetheless its a stunning achievement and one i really wanted to happen. With only twenty minutes left on the clock, you would have been forgiven for thinking it would all fizzle out and the players were already licking their lips and thinking about the bottles of bubbly. Then Danny Hollands got an equalizer. His face told the story of the season, that goal was as important as any in the months preceding it. There was a game for the winning here, and this team are a team of champions. Champions seize these opportunities. The very impressive Danny Haynes got number two and we knew it was mission accomplished. Again, the players faces told the story. 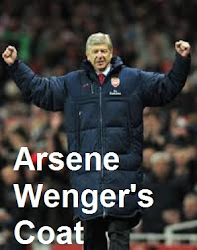 Now we could relax and enjoy it for sure, maybe even try the unbelievable and give the fans a moment of pure genius. Step forward Yann Kermorgant. His goal had a touch of the Van Basten's about it. A long high ball went diagonally across the penalty area, the big frenchman stuck his leg out and got the ball in the net from the acutest of angles. Sublime. Jason Euell came on for a cameo to see out his playing days as the curtain came down on his career and he hangs his boots up. A 'Chris Powell' moment would never happen though no matter how much we wanted it. A friend of mine who watches AFC Wimbledon said to me that he may bring a wealth of experience to the dressing room but on the pitch he resembles Ali Dia. I'm afraid i have to agree. Hartlepool pulled one back but were never going to ruin the parade. We had finished the season in style with 101 points. Our greatest ever haul, and just one of many club records broken this year. Again check out the programme and be impressed! One real highlight was hearing the covered end sing Hartlepool off the pitch. They have made so many friends in SE7, i know I'll always be looking for their results in the papers. There are only a handful of things I'll miss from League One and Hartlepool are one of them. Their travelling army of fans dressed as smurfs were top notch and admirably stayed for the presentation of the trophy. 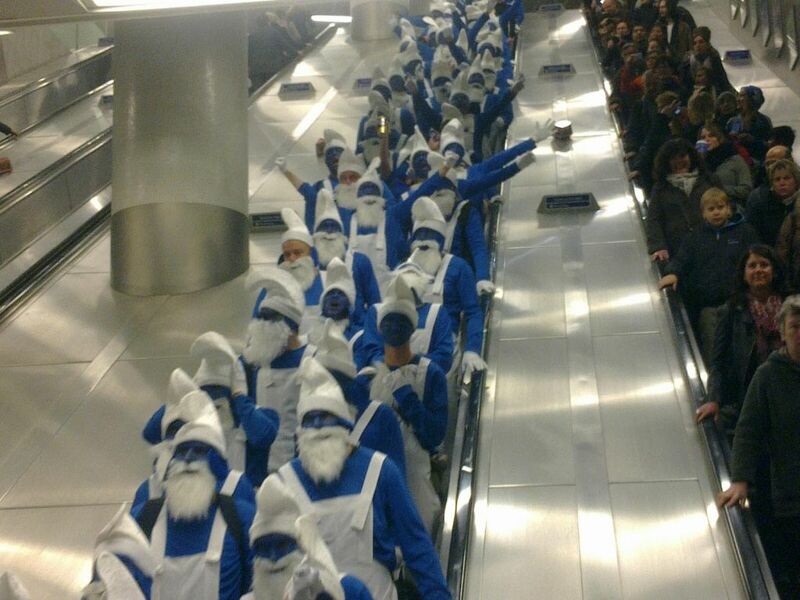 The very best photo taken by anybody of the day was of an escalator full of them as other passengers looked on. We waited an age for the npower podium to be erected (at the furthest point to us) and the trophy to make an appearance. The playing staff were called out one by one and eventually the lads in the red shirts got their hands on it. As always with Charlton, there was no pitch invasion except for the wives and girlfriends who came on from the south west corner. It was always going to be a little disjointed, this was a moment for the kids to enjoy, us serious drinkers decided it was time to make our way to the pub to give it that coat of red paint. Tonight sees the player of the year awards. Some lucky fans were able to get tickets for this and i suspect will see Chris Solly receive the accolade although i personally would like to see it go to Michael Morrison. 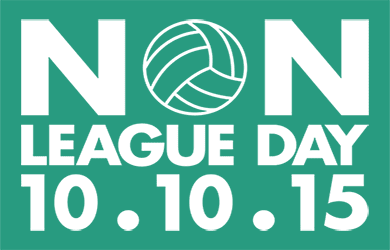 A good way to continue this celebration, I'm hoping a bus parade is on the cards as well. I didn't get a ticket so i have used the day to book my holiday to Cyprus. We leave in two weeks time, i hope this hangover will finally be gone by then. I think a beer and a sing song round the pool is on the cards. Champiooonee, champiooonee, ole ole ole.